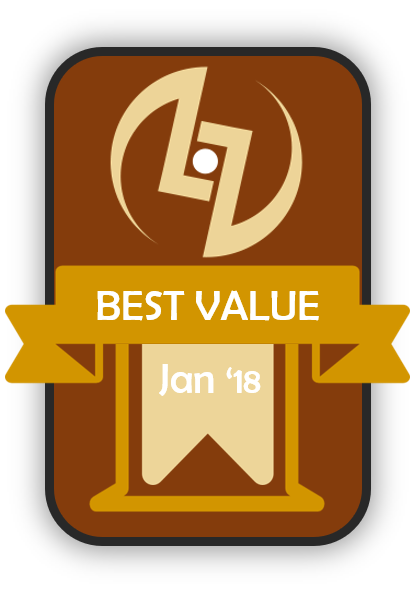 Tecware’s goal has predominantly been to provide products that are not only affordable, but also with quality in mind. 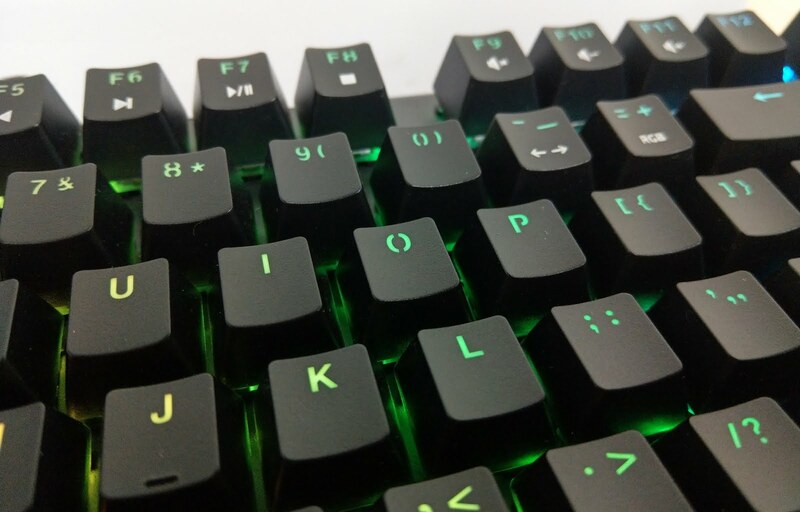 With their lineup consisting mainly of PC cases, widening their scope into the PC landscape by releasing their own keyboards only seems natural. 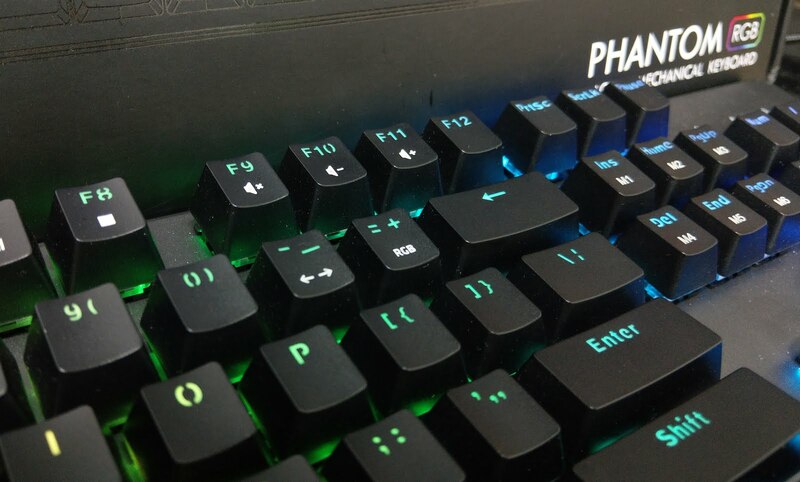 With Phantom – a S$79 RGB Mechanical Keyboard – being released only recently, we managed to get our hands on it. 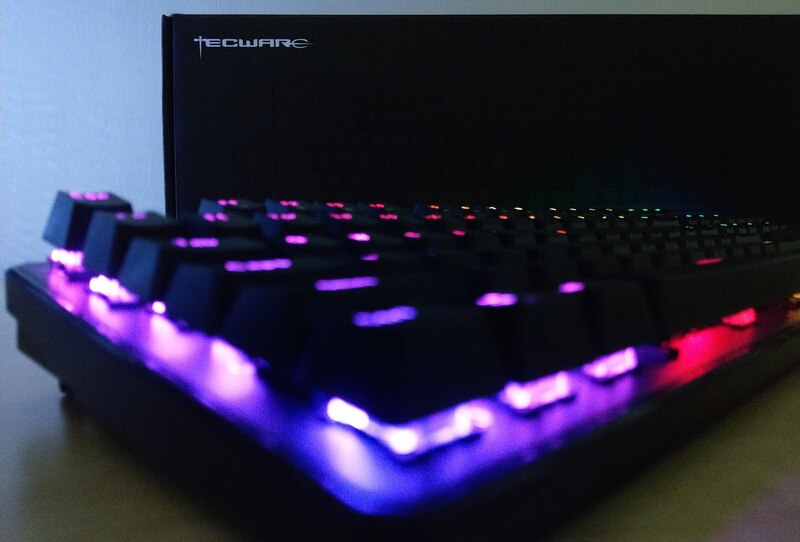 Let us see if Tecware is able to keep the cost of a mechanical keyboard (with RGB) down while providing customers a quality product. With just a glance, it was obvious that Tecware has put in thought for the design of the keyboard’s packaging. The textured front glistens as the sunlight lays its hands on the box, but I digress. Let’s not judge the book by its cover. 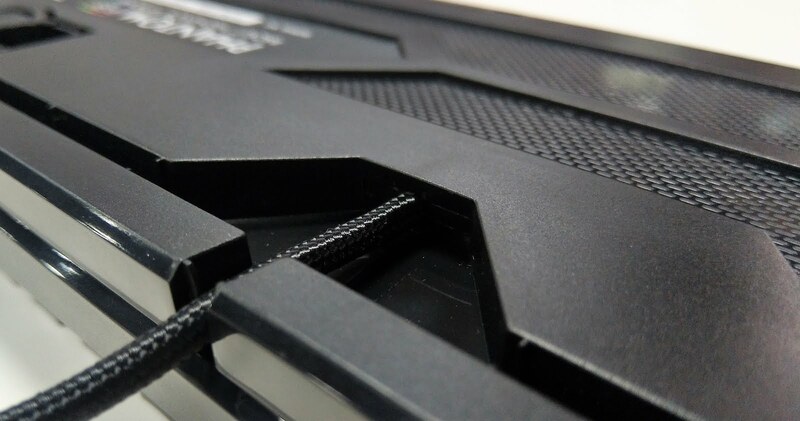 The Phantom’s heft and how it does not flex under immense pressure makes this keyboard one of the sturdiest keyboard that we have ever tested. Good design patterns did not stop there. With its open design for its switches, the RGB could be shown off rather easily. Additionally, this makes clearing of dust really easy, with a reduced build-up of dust. However, the RGB backlit is not as bright and visible as other keyboards under typical indoor lighting conditions. This gets worse when used near windows, with sunlight being the Phantom’s biggest weakness. This compromise was probably to keep cost low. The second compromise that the Phantom takes is the usage of ABS keycaps. This will result in the “shine” that older keyboards develop over time. To balance out quality and affordability, the keycaps are doubleshot, allowing its printing to retain for a extensively longer period. When it comes to the choice of font, preferences differ immensely as it is subjective. One may feel that it letters are not as legible as other fonts, with random cut offs running through each letter or symbol. Others may feel that it makes the keyboard look futuristic or “gamer-ish”, which suits its RGB features. 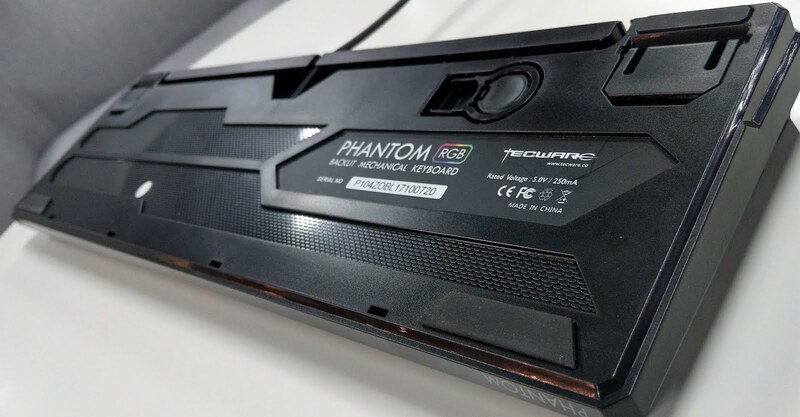 The Phantom features rubber bumpers which, along with its hefty weight, helps keep the keyboard in place. 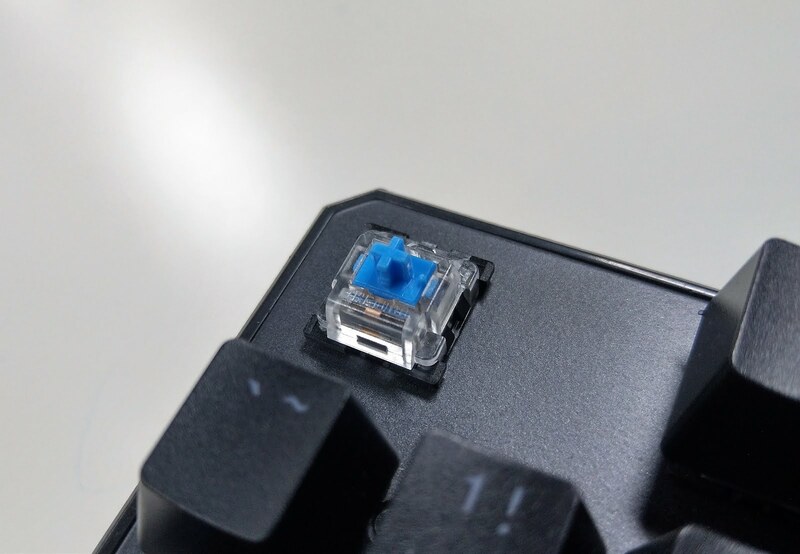 This, together with the mandatory cable routes, helps the keyboard tick the majority of the box that gamers look for in a mechanical keyboard. 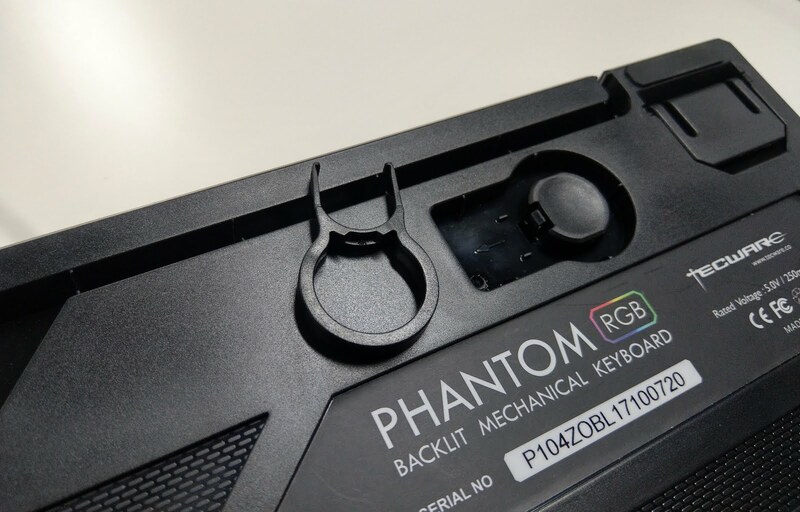 When it comes to firsts, the Phantom is the first (to my knowledge) to have a built-in keycap remover. Whether this is what someone looks for or not, having this option is definitely a plus. Instead of the typical Cherry MX switches that one normally sees, Tecware opted to use Outemu switches. 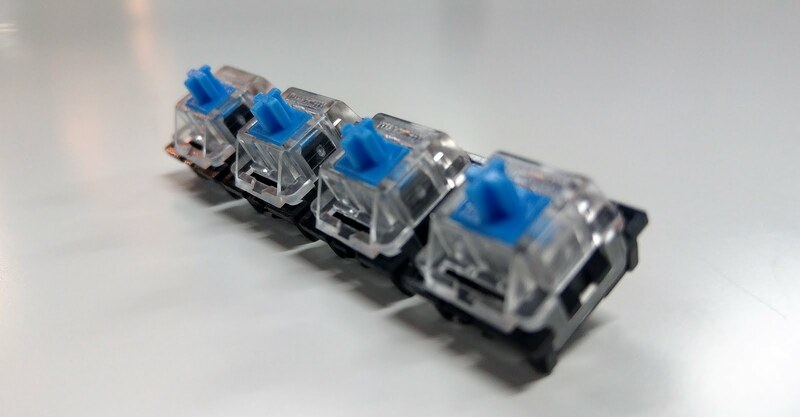 Following the former’s color scheme to help customers familiarize with their switches immediately, the Phantom has 3 variants – Blue (60g), Brown (55g) and Red (50g). Typing on the Outemu Blue feels similar to the Cherry MX Blue, with the former being a touch harder to actuate (50g to 60g). Not to mention, Outemu Blues provided a more noticeably tactile feel and sound. This also results in a switch that generates more noise in general. Another noticeable difference after using the Phantom for a long period is the slight increase in hand fatigue. On the other hand, for touch typists, the increase in actuation force can reduce the chances of bottoming out the keycap and an overall better “feel”. Overall, the Outemu Blue is still a decent choice for those who are looking for a tactile typing experience and want something different. 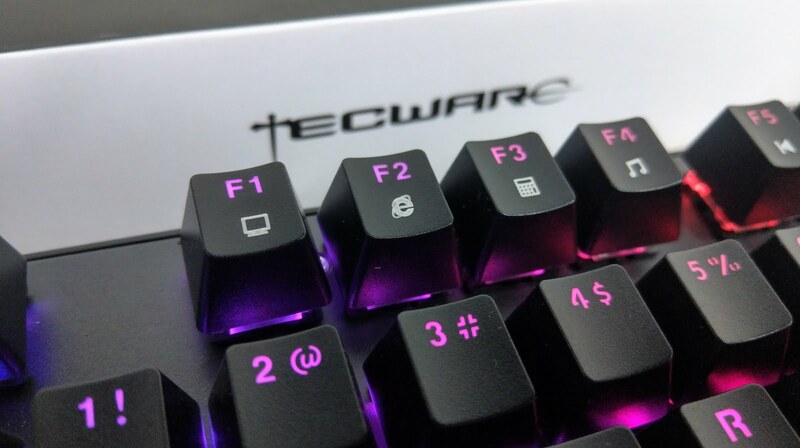 Instead of macro buttons that are often seen in many gaming keyboards, Tecware opted to place shortcuts that make use of the “fn” button. This helps to minimize the size of the keyboard, keeping the entire body small for a full-size keyboard. But what is with the Internet Explorer icon. 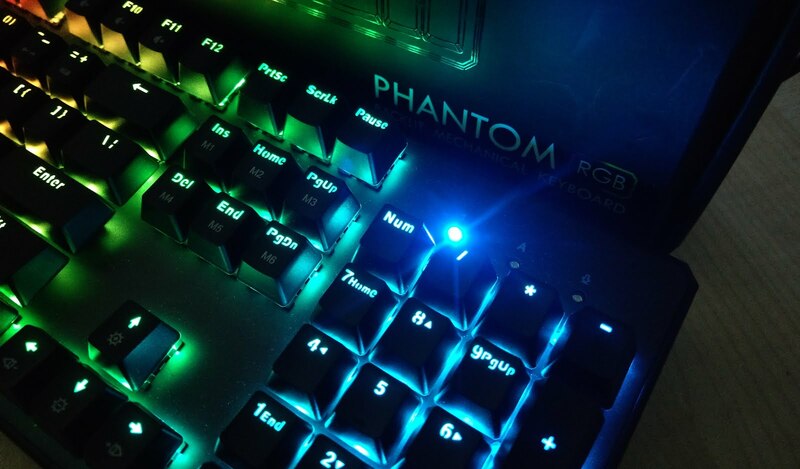 One often overlooked feature that the Phantom has is the ability to disable Windows key. 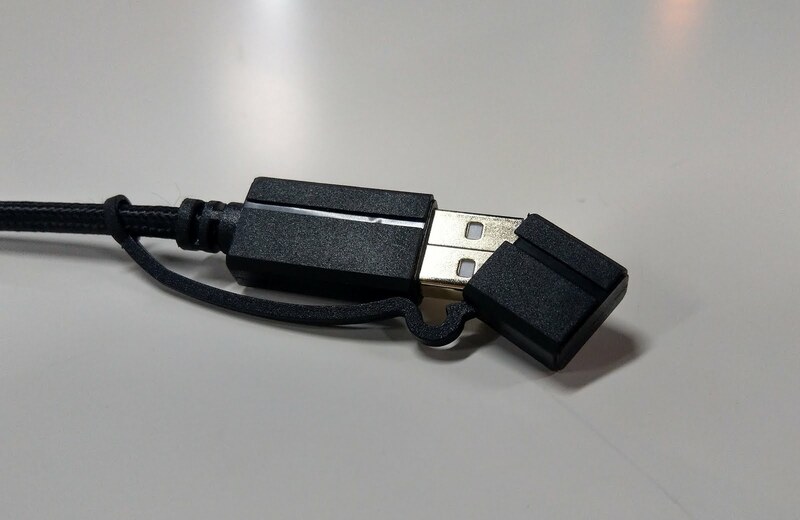 This can be extremely essential when gaming, where the Windows key can disrupt your gaming experience. Kudos to Tecware for including this feature. The Phantom meets customization standards, with 20 different modes, and 5 levels and speeds. These can be set with or without any software. 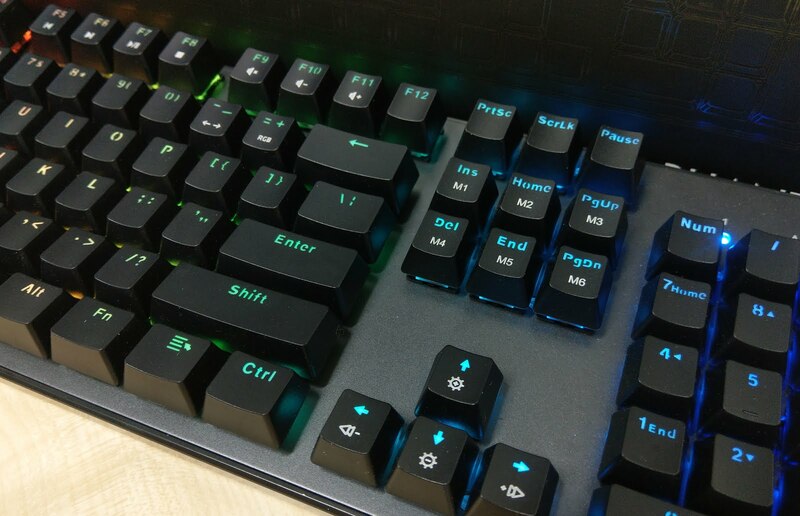 Simply use the “fn” key in combination with the other specified keys to switch modes, and even the speed and intensity of the RGB. You can even record you own custom macro command. 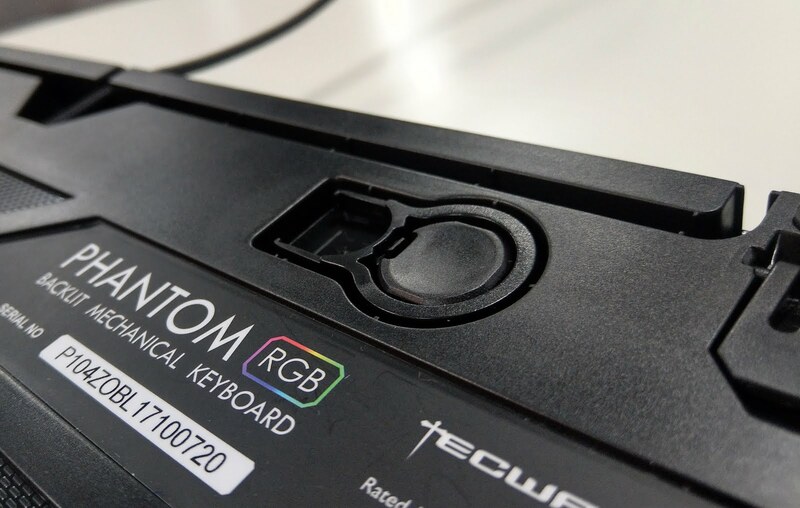 All in all, Tecware’s Phantom is one of the most value-centric mechanical RGB keyboards in the market to date. 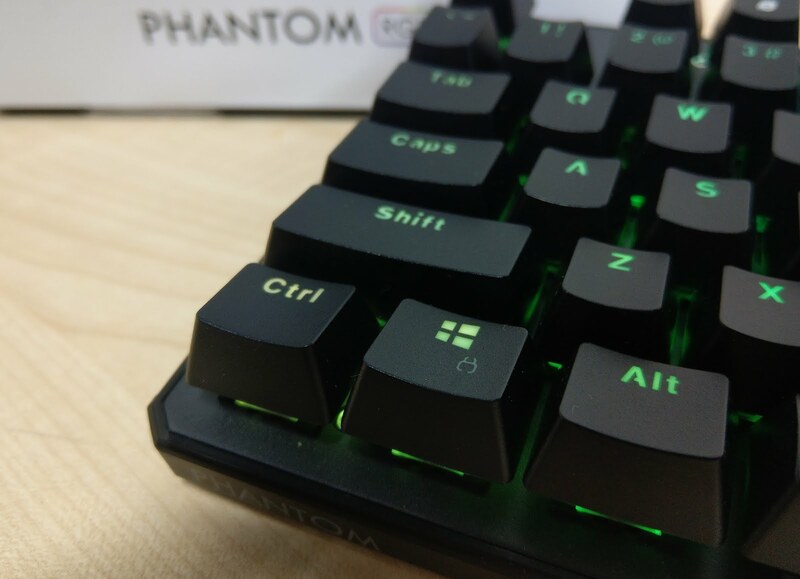 With its price only being at $79, all the features that one would deem mandatory in a mechanical keyboard is available in the Phantom. If you are willing to overlook the flaws that were mentioned above, this keyboard is definitely a great buy.